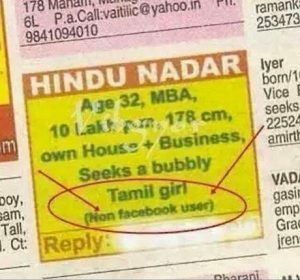 So are you planning to book matrimonial ads in Times of India newspaper? Trying to figure out the hacks that would make your ad look better? releaseMyAd is at your rescue! Visit our website now and we shall assist you in the best possible way so that you can meet your advertising goals. We have been one of the finest online ad agencies in India since 2008. We all belong to an era where every service can be availed with just a click. So, why should you wait and use the age-old method of advertising in newspapers? releaseMyAd brings the smartest way to advertise in newspapers exclusively for the advertisers. Our platform provides every information and guidance relating to the ad booking techniques to the advertisers. 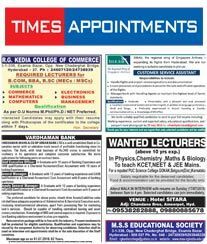 The Times of India is one of the leading and popular daily English newspapers of India, owned by Bennett, Coleman & Co. Ltd. According to Audit Bureau of Circulations (India), this newspaper is the fourth-largest newspaper in India by circulation and largest selling English-language daily in the world. So, your decision to advertise in this newspaper is absolutely a wise one! It is widely circulated in cities like Mumbai, Ahmedabad, Allahabad, Aurangabad, Bangalore, Bhopal, Bhubaneswar, Calicut, Chandigarh, Chennai, Coimbatore, Delhi, Guwahati, Hubli, Hyderabad, Indore, Jaipur, Kochi, Kolhapur, Kolkata, Lucknow, Madurai, Mangalore, Mysore, Nagpur, Nashik, Panaji, Patna, Puducherry, Pune, Raipur, Ranchi, Surat, Trichy, Trivandrum, Varanasi, Vijayawada and Visakhapatnam. Now, here we shall disclose the simplest way to make your ad appear unlike the other ads in the broadsheet. 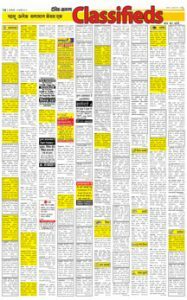 The most cost-effective option to enhance the look of your advertisement in case of classified text ads is by adding the various enhancements such as coloured background, tick, a screen around your ad matter, image along with text or run on display which basically highlights the content by underlining it. However, the better option that can make your ad stand out of the clutter is the classified display format. In this format, advertisers get the liberty to design the ad content as per their own taste. One may use a logo, image, fancy coloured fonts, and borders. Apart from the fixed width size, advertisers have no other restriction while placing an ad under classified display column. Now, are you wondering how to create such awesome designs? releaseMyAd have a solution for this as well! Our organization has highly experienced ad designers. They are the experts in this field and designs ad matters as per the customer’s requirements. Advertisers get the opportunity to design their ad contents free of cost. Yes! You got it right! releaseMyAd provides complimentary service for designing advertisement contents. We are just a call away. Call us at 09830629298 to book your matrimonial ads in Times of India newspaper NOW! Dainik Jagran is the largest newspaper in India by circulation as per Audit Bureau of Circulations (India). Being one of the most popular Hindi daily newspapers of India, Dainik Jagran gains huge readership figure. So, advertising in this newspaper should be beneficial. The World Association of Newspapers has stated that Dainik Jagran as one of the most read newspapers in the world. It was founded by Shri Puran Chandra Gupta, JC Arya, and Shri Gurudev Gupta in 1942 in order to voice the nationalistic sentiments during the Indian freedom struggle. It is widely circulated in various parts of the country which includes Jhansi, Kanpur, Rewa, Bhopal, Varanasi, Allahabad, Meerut, Agra, Aligarh, Bareilly, Gorakhpur, Delhi, Uttarakhand, Haryana, Bihar, Jharkhand, Punjab, Jammu, Himachal Pradesh and West Bengal. This newspaper cover stories on the different subject matter like sports, entertainment, health, lifestyle, business, politics and so on. It also has a prominent section for classified advertisements. Hence, the huge readership figure of Dainik Bhaskar is the reason as to why this daily newspaper should be your choice of advertising. Advertisers can advertise in categories like matrimonial, recruitment, business, services, education, property, personal, obituary, remembrance, travel, computers, public notices, court notices and more. You may visit our online portal to find out more. Dainik Jagran classified ads can be booked in two different formats which include classified text and classified display. Classified texts are simple running text ads charged on the basis of the number of words used in the ad content. To highlight the classified text ads you can use enhancers like colours, borders and tick marks. 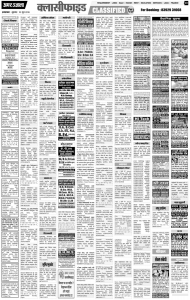 On the other hand, classified display ads are the pictorial form of advertising. In classified displays, advertisers can use images, logos, and graphics along with texts. These ads are charged and measured on the basis of per square centimeter unit. With releaseMyAd, you can easily place an advertisement in Dainik Jagran from the comfort of your home or office. Just contact our executives so that they can help you to book your ad. releaseMyAd is the largest online ad booking agency with its several branches across the country. It has served over ten lakh customers to reach their target market. With the aim to make advertising easy for our clients, we bring the whole marketplace at your fingertips. So what are you waiting for? Book Dainik Jagran classified ad now at your fingertips. Follow the simple steps below or just give a call at 09830629298 to book your ad. Select your required ad type between Classified Text and Classified Display. For more details drop us a mail at book@releasemyad.com . One of the leading Hindi dailies of our country is Amar Ujala. It was founded in Agra in the year 1948, a year after India’s Independence. It has 19 editions in seven states (Uttarakhand, Himachal Pradesh, Jammu, Haryana, Punjab, Delhi NCR and Uttar Pradesh) and one union territory (Chandigarh) with 167 districts. The circulation figure counts to 3 lakh copies daily. As per the report of the Indian Readership Survey (2013), this newspaper had the 12th-largest daily readership amongst newspapers in India. So, I believe this should be enough reason for selecting Amar Ujala as your advertising platform. Advertisers who book Amar Ujala classified ad definitely gain a huge response. Now, the classified ads can be booked in two formats, which are classified text and classified display. Classified texts are simple run online ads charged on the basis of the number of words used in the ad matter. On the other hand, classified displays are calculated on the basis of space occupied by the ad in the newspaper and are charged on the basis of per square centimeter unit. You may use images, logos, and graphics along with texts while booking classified display ads, which is not possible in case of text ads. 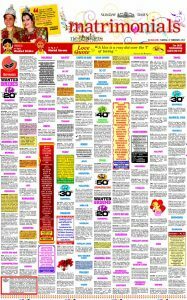 Advertisers can advertise in Amar Ujala classified section in categories like matrimonial, recruitment, business, services, education, property, personal, obituary, remembrance, travel, computers, public notices, court notices and more. You may visit our online portal to find out more. Our agency, releaseMyAd is the leading ad agency of India and we are working in this industry since 2008. So, our experience shall help the advertisers like you to reach the target audience. We have created a swift and smooth ad booking platform that assists the advertisers to book ads instantly. We brought up the idea of booking ads online in national and local newspapers of India. Our portal is designed in the way to make advertising easy. You shall get a wide range of option once you visit our online portal. So, grab the exciting offers and discounts that we arrange especially for our advertisers. Since our agency is accredited by INS, various publication houses share their rate cards directly with us and we update the same in our website without any additional commission charges. For any assistance regarding ad booking, call us at 09830629298 or write us at book@releasemyad.com. We are ready to help you. Times of India is the leading English newspaper in India with a readership figure of over 7.59 million. It was founded in 1838 and is owned by Bennett, Coleman & Co. Ltd. IMt is the oldest English-language newspaper in India still in circulation. As of Jan – Jun 2017, the daily circulation of this newspaper was. 2,716,291. It is indeed a great platform for business and individuals to reach out to their target audience. It is among the top 10 newspapers in the world. This daily carries the latest news on National and International current affairs, sports, business, entertainment, technology, science, health, and fitness. The variety of different contents along with profound information on the mainstream actually makes it entrancing to its readers. Advertisers can advertise in categories like property, business, service, recruitment, education, personal, matrimonial, automotive, computer, public notices, obituary or remembrance and more. 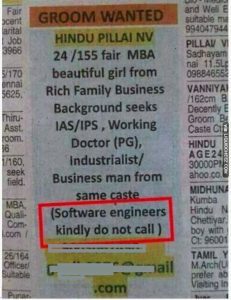 Now, the Times of India recruitment advertisement is highly popular. This section helps the readers in both ways; companies are able to find out the most efficient people from the ‘Situation Wanted’ section, likewise ‘Situation Vacant’ section, helps the job seekers to find out the desired workplaces. Times of India provide several advertising options to the advertiser. One can advertise in different forms which include classified text and classified display. So, you can visit our page and book Times of India job ads in any of these formats. In classified text advertisers can book ads in simple texts by using enhancements like borders; tick marks colours to highlight the ads. They are charged on the basis of per lines used in the ad content. On the other hand, in the case of classified display ads, use of images, logos, and graphics along with texts is allowed. They are charged on the basis of per square centimeter unit. We can book your Times of India Ad in major cities as Mumbai, Delhi, Bangalore, Kolkata, Chennai, Ahmedabad, Lucknow, Surat, Chandigarh, Aurangabad, Bhopal, Calicut, Coimbatore, Guwahati, Indore, Hyderabad, Jaipur, Kolhapur, Madurai, Pondicherry, Trivandrum, Kochi, Pune, Vishakhapatnam, Nagpur, Panaji, Hubli, Nasik, Mangalore, Raipur, Trichy, Ranchi, Vijayawada, Varanasi and Patna. releaseMyAd helps you to book your ad online in your preferred newspaper. With the aim to make advertising easy for the clients, we brought the entire marketplace at your fingertips enabling the advertisers to choose from a wide range of options to fulfill their advertising need. Our portal is designed in such a way so that anyone can book their ads easily. releaseMyAd simplifies your advertising experience by saving time and money. We are authorized by INS, the main governing council of media publications, so the publication house sends us their rate cards directly without any extra commission charge. For more information, you can call us at 09830629298 or write us at book@releasemyad.com.